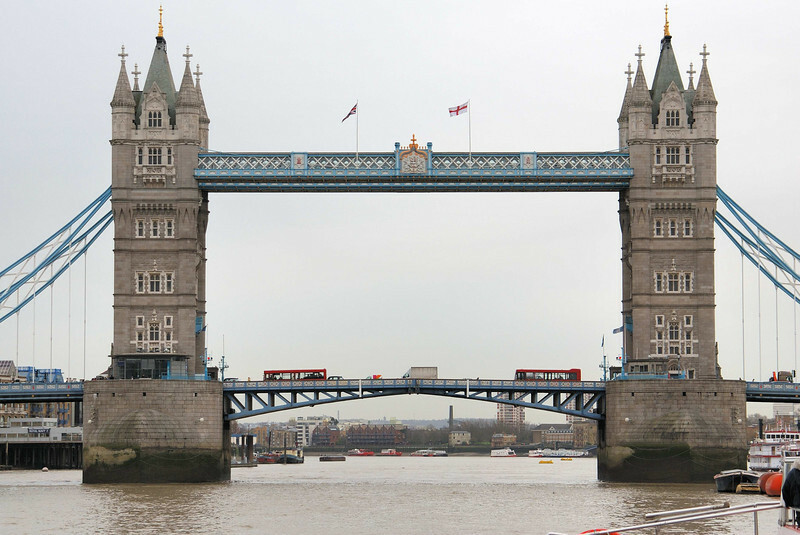 Tower Bridge is a combined bascule and suspension bridge over the River Thames. It is close to the Tower of London, which gives it its name. It has become an iconic symbol of London.